If you went for a 16GB iPhone 6 or 6S and soon found the storage slipping away like sand through your fingers, then you might want to consider an elegant-looking SanDisk solution that’s just gone on sale. While the company has recently been tackling iPhone storage issues with a number of flash drives such as this one, many consumers were put off by the ugly way the device stuck out of the bottom of the phone. This time around, however, SanDisk has come up with a sleek iXpand Memory Case that can give your iPhone as much as 128GB extra storage, leaving you worry-free if shooting lots of photos and video is your thing. 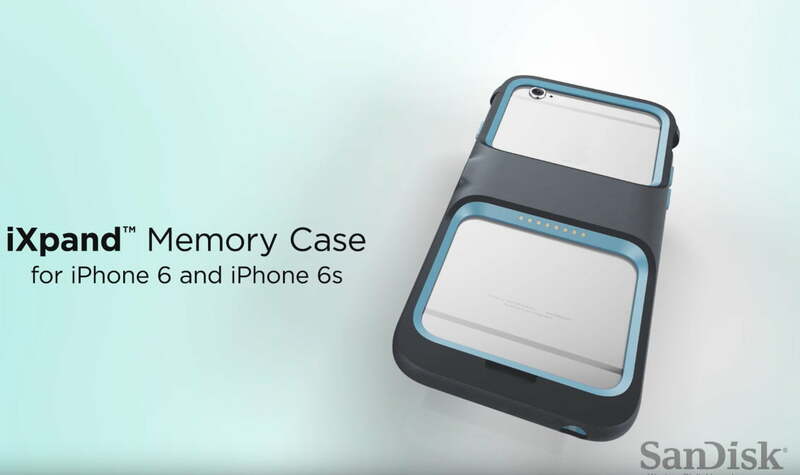 Beside the $130 128GB version, the case is also offered with 32GB of storage for $60 and 64GB for $100. Different colors are available too, namely gray, sky, mint, and red. The iXpand case ships with its own app, too, helping you to easily organize all of your content, whether it’s photos, videos or music files. 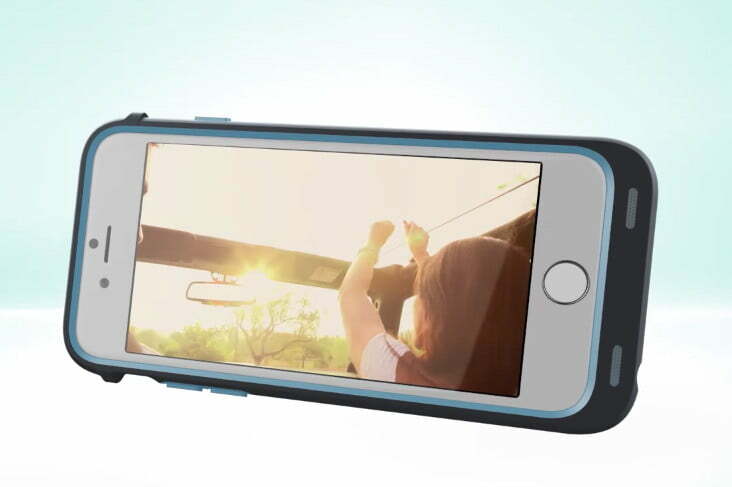 The case comprises a hard plastic shell and a soft rubber interior for maximum protection. You’ll already have noticed that its design is, to put it mildly, somewhat minimalist. Essentially little more than a frame to protect the edges and a central bar, there’s really not much there at all. For some users, that’ll be just fine because it’s usually the edges that take the worst of it when your phone hits the deck. And even with those two large windows on the back, the bar means the rear of your phone will still be protected when you put it down. It’s also designed like that because of a feature we haven’t mentioned yet. The iXpand case can actually take a 1,900mAh battery module (the 6S has a 1715mAh battery), though it’ll set you back an extra $40, as well as bulk up your phone a bit. Of course, there are already a number of storage/battery case combos on the market like this one from Mophie, but we like how SanDisk has made it an optional extra that you can clip on when needed. It’s just a shame it costs extra. While SanDisk’s iXpand Memory Case certainly seems promising, we haven’t had an opportunity yet to see how it feels in the hand, so be sure to check back when we’ve had a chance to take a closer look.